The Iowa State Dance and Drill Team Association (ISDTA) exemplifies the importance of developing good character by encouraging, promoting, and providing opportunities for young Iowans. Working every day to unify Iowa’s dance and drill teams, the ISDTA conducts themselves in a positive manner with respect to self and others in the true spirit of teamwork. Each winter, more than 5,000 of Iowa’s best young dancers converge in Des Moines at Wells Fargo Arena and Hy-Vee Hall to showcase their talents in what is considered to be one of the nation’s largest and most prestigious events of its kind. In 2017, 270 high school and 26 college teams competed for state championship top honors. In their most public demonstration of good character, the ISDTA presents both a CHARACTER COUNTS! Team of Character and Coach of Character award to recognize individuals and groups making a positive impact on their dance teams, schools, and communities. 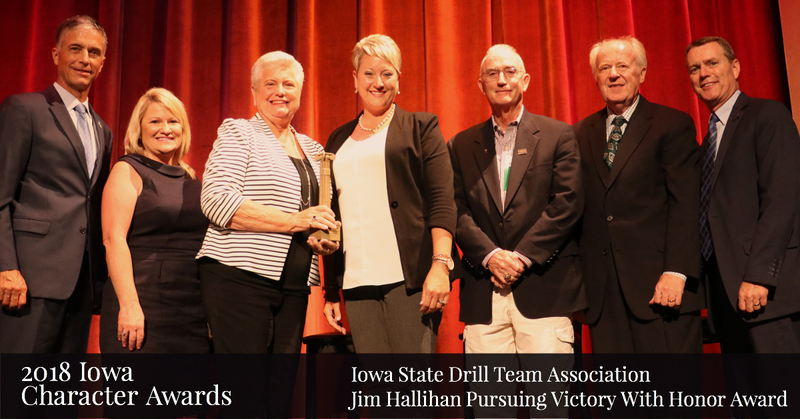 By bringing together individual dance and drill teams from across the state of Iowa and fostering an environment of healthy competition, the ISDTA is recognized for their relentless pursuit of victory with honor. ← Does it pay to be ethical?